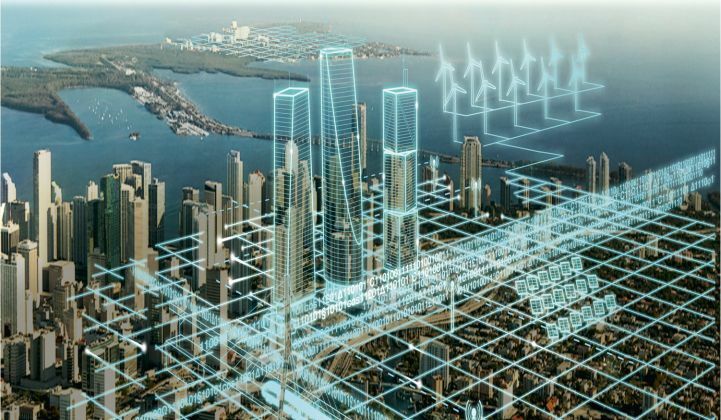 Grid technology giant Siemens and systems integration expert Accenture just announced a joint venture called Omnetric Group, which will take their combined expertise to utilities deploying a whole range of next-generation smart grid technologies. Think of it as the tip of the spear for putting the companies’ combined IT and OT expertise to work on the grid’s most complex problems -- along with a mandate to seek out new challenges to solve. Omnetric will employ 100 people at its Munich, Germany headquarters and is initially targeting North America and Europe. The companies didn’t disclose financial terms of the deal or release details about the projects the JV is working on, and the official launch of the business is awaiting regulatory approval. But Jack Azagury, global managing director of Accenture’s smart grid services business, said in a Tuesday interview from the European Utility Week conference in Amsterdam that Omnetric has a “significant pipeline of opportunity globally,” ranging from its announced target markets to emerging ones in Latin America and Asia. As for funding, “Both Siemens and Accenture have capitalized this significantly,” he said, “to allow room for the JV to perform R&D around this integration framework, this operating system, for smart grid.” In other words, Omnetric’s role is not just to push existing joint Siemens-Accenture solutions to new customers, but also to seek out and develop new approaches to challenges that no single smart grid vendor can claim to have a lock on solving today. Those could include integrating intermittent wind and solar power into existing grid operations, creating new ways for utilities to interact with customers that generate and manage their own power, or combining traditional utility operations in ways that allow them to work more smoothly. For Siemens, “The clear focus is the systems integration part,” Thomas Zimmermann, CEO of the German engineering giant’s smart grid services business unit, said during Tuesday’s call. Over the past year, the companies’ partnership to help utilities deploy Siemens’ eMeter meter data management (MDM) platform has been yielding fruit, with projects going live in Canada, the U.K. and Belgium, Azagury noted. Moving beyond smart metering, Omnetric will be looking at system integration and data analytics applications from grid operations to workforce and customer engagement, Zimmerman said. Accenture has plenty of expertise on these fronts, with utility projects including grid asset management analytics for major Canadian utility Hydro One, customer and workforce management for U.K. utility SSE, and a demand response billing project for Japan’s Yokohama Smart City project. Siemens, meanwhile, has formed a “big data” partnership with Teradata, matching similar moves from its competitors. In Europe, integrating the continent’s burgeoning supply of renewable energy into the grid will be a key focus -- in terms of both managing the grid instabilities that come from intermittent wind and solar resources and navigating the economic challenges that come from the rapidly increasing share of power coming from distributed, customer-owned green resources. Siemens has some experience on this front with its virtual power plant project with German utility RWE, which combines about 300 megawatts of generation capacity (roughly one-third of it wind and solar power) and balances it with emergency backup generators and combined heat-and-power systems at about 200 hospitals, factories and other industrial and commercial sites around Germany. Siemens’ Decentralized Energy Management System (DEMS) is aimed at the same challenge, except on the distributed resources front. 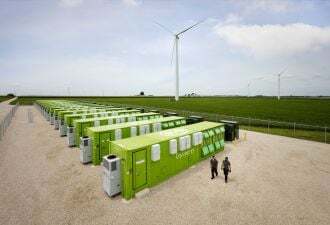 That’s a tougher nut to crack, however, involving a lot more moving parts, many of which aren’t under direct utility control Again, competitors such as Alstom, ABB, Schneider Electric and GE are all developing their own distributed energy management platforms to compete. In North America, the focus will be on managing the continent’s aging grid infrastructure, whether to make use of grid visibility and demand response to ease the burden on stressed power lines or to respond to grid emergencies in the wake of storms and other natural disasters. This involved tying together traditionally siloed utility operations like geographic information systems, outage management systems, distribution management systems and customer information systems, an effort that has traditionally been outside the purview of any one company. For example, Siemens has been working with U.S. rural electric co-op North Carolina Electric Membership Corp. on its “surgical demand response” capabilities, which marry building energy controls with distribution grid management systems to ease local power flow and supply challenges. Last week, Siemens took those surgical DR capabilities to a broader audience with the launch of its Demand Response Management Software (DRMS) 2.5 product, which promises the ability to pinpoint power load reductions down to the substation feeder and ZIP code levels. In a broader sense, Omnetric Group’s work could be the platform to start helping utilities face the existential challenges that are arising from customer-generated power eating away at their revenues, along with the pressure to replace coal-fired and nuclear power with renewable sources that are hard to “firm up” to meet their always-on needs.